*Club Chalet* is located near Gatlinburg, Dollywood Amusement Park, and Pigeon Forge in beautiful Tennessee! 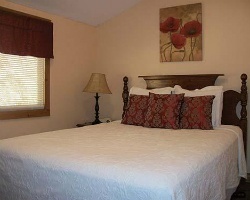 Some of the resort's units are available in town or close to Gatlinburg, while others are located on Mount Harrison. Guests can enjoy winter sports in the area, take a nearby tram to Obergatlinburg or Eagle Mountain Sanctuary, visit the quaint shops in Gatlinburg, head to the water park and enjoy some rides, take trolley tours, or shop the outlet malls in Pigeon Forge. Hiking, camping, fishing, golf, miniature golf, cycling, rafting, horseback riding and other activities are also nearby. Seasonal activities include the Winterfest and Christmas and January light shows, fairs, and of course the changing of the leaves in the fall. This resort is an Americas Travel and Vacation Club property! 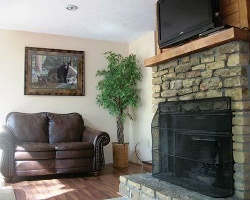 For more information about this resort or other ATV resort locations, visit www.atvclub.com. Willing to Negotiate any offer! Conveniently located near a variety of activities, Great for all ages, Week 10! Inquire for details! Perfect resort for your annual Gatlinburg vacations! Easy access to the local attractions! Buyer may receive a title fee credit, inquire for details! 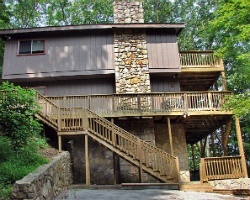 Rare resale opportunity at this lovely Gatlinburg resort! Perfect spot for getting away from it all!